You'll be the envy of all your friends with this executive American Mahjong set! 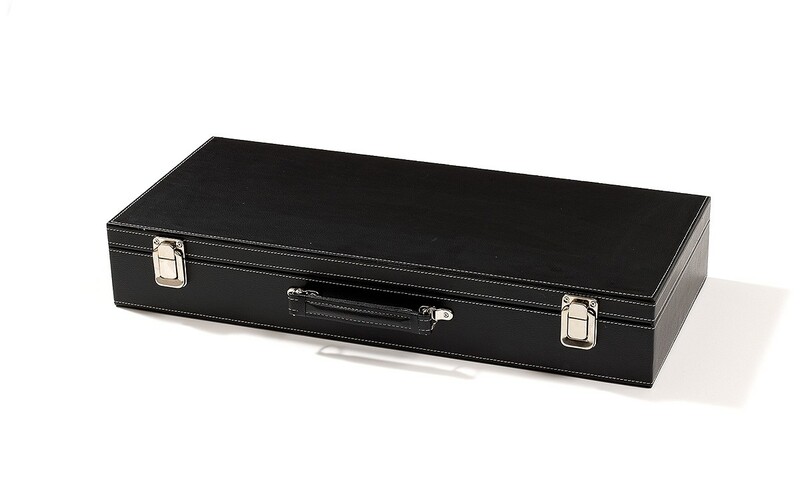 Features four deluxe wood tracks, two felt trays, tiles and money that fit neatly into a sophisticated black leatherette case with white stitching. 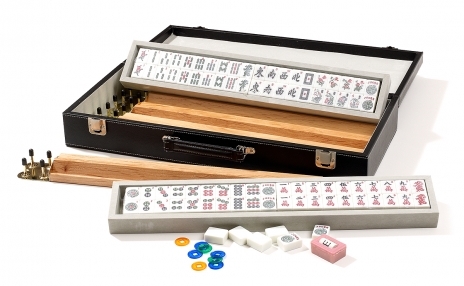 Take "the game of a hundred intelligences" to the next level!